"Participants from government officials and agencies will not be charged for registration." Days to go until the Registration Closed. 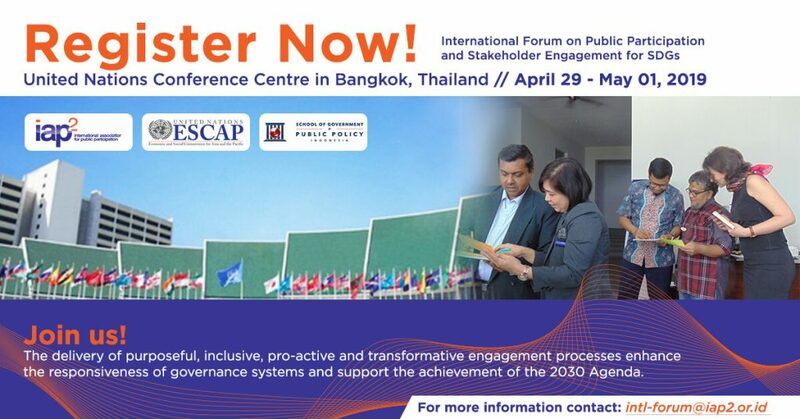 This two and a half-day forum will be held from April 29 – May 1, 2019 at the United Nations Conference Centre in Bangkok, Thailand. Exploration of P2 and SE for the 2030 Agenda, discussion on research papers and other contributions, in interactive sessions/marketplace approach – based on a call for papers and invited contributions, cross-sessional learning. Morning – Dialogue on roles of different stakeholders, potential partnerships and recommendations for follow up. Afternoon – Professional development workshop for government and other interested participants (fee applied, Government officials exempt).